Designed and built in troubled times, with the death of Nicola Romeo at the age of 73 and the dark clouds of war hanging over Europe, the Alfa 158 is one of the legendary cars of automotive history, originally designed for the 1.5 litre supercharged formula, Scuderia Ferrari quietly developed this little gem of a car while the German Silver Arrows dominated F1. 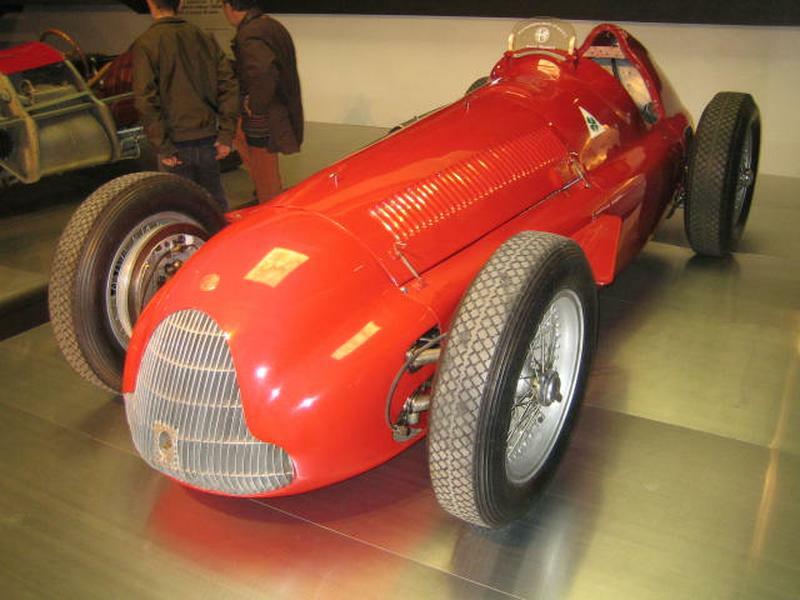 Originally conceived in 1937 and developed in Modena, the 15 denoted that it had a 1.5 litre engine whilst the "8" told that it was an 8 cylinder engine. The tiny 1479cc engine had a bore of 58mm and a stroke of 70mm. 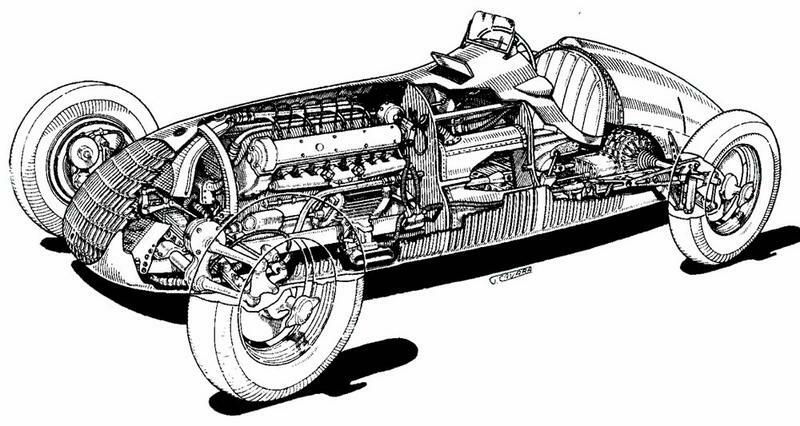 The camshafts were gear driven from the front of the engine instead of from the centre like its larger predecessors and the engine was originally single stage supercharged. First bench tested at 180 bhp, this was upped to 195 bhp at 7000 rpm by the time the car was raced, in a car weighing 620 kg, giving a power to weight ratio of 315 bhp per ton. By 1939 this was increased further to 225 bhp at 7500 rpm. The car's début was in the Coppa Ciano race at Leghorn and Nicola Romeo had the pleasure of seeing his cars coming home first, second and fourth. 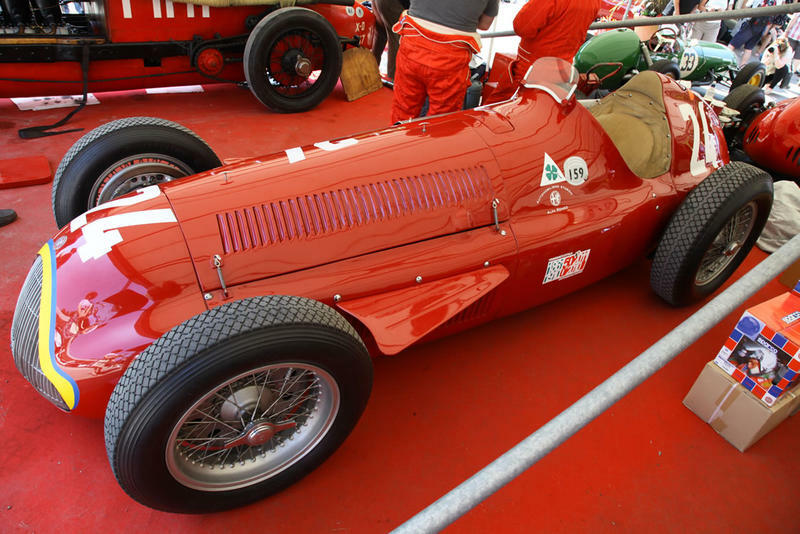 For the 1939 season the cars were returned to Portello and the Cavallino Rampante insignia was replaced by the Alfa Corse Quadrifoglio Verde which appears to have been carried out without any major problems and the cars had a successful year. By 1940 world events had overtaken the Factory and the seven complete 158 Alfetta's and two 512's were spirited away from the Germans and walled up in a cheese factory in the tiny mountain village of Melzo and there they stayed hidden away, safe and sound until sanity returned to humanity and they were able to come out of hiding to bring a dash of brio to a broken world. The management of Alfa Romeo first had to decide if it was to develop the advanced 512 design or continue with the proven 158 design. Eventually it was decided to go with the 158 mainly because of the considerations of space in the bombed out factory. The first outing of the cars was at the St Cloud GP in 1946 but unfortunately both cars retired with broken clutch's. However, the cars were soon victorious in the Grand Prix of Nations with a resounding first, second and third place. The engines by this time were two stage supercharged and were producing 254 bhp and by 1947 the factory had pushed this up to 275 bhp and were developing the even more powerful 158/47 derivative with 310 bhp but this engine was not used until late 1948 to combat the growing threat from Enzo Ferrari with his now independent company. 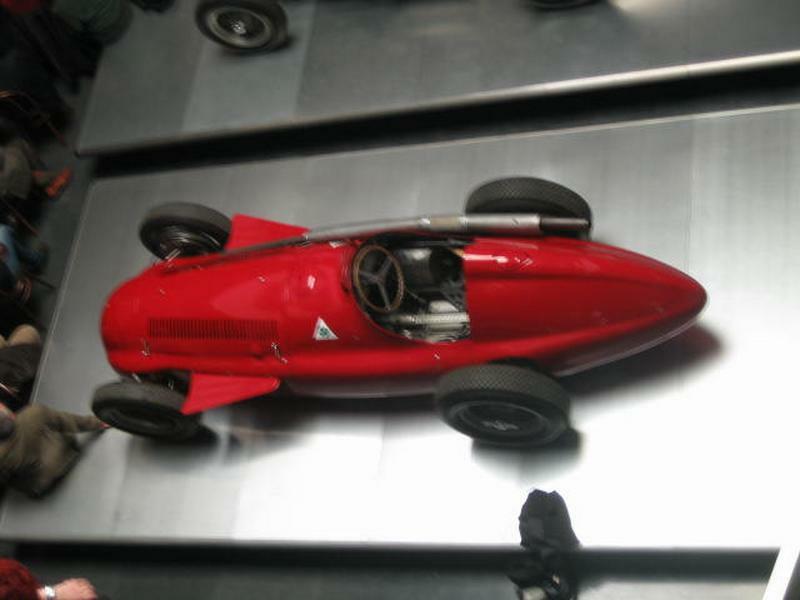 Alfa Romeo withdrew from racing for the 1949 season and developed the 158/47 engine giving it a stronger bottom end and improving its breathing and this brought the power output up to 350 bhp for the start of the 1950 season and by the end of the season this was up to an incredible 370 bhp. All this in a chassis first raced twelve years before, and in that time it had competed in thirty nine first line events and had won thirty three of them with forty one other podium finishes a truly inspired feat. 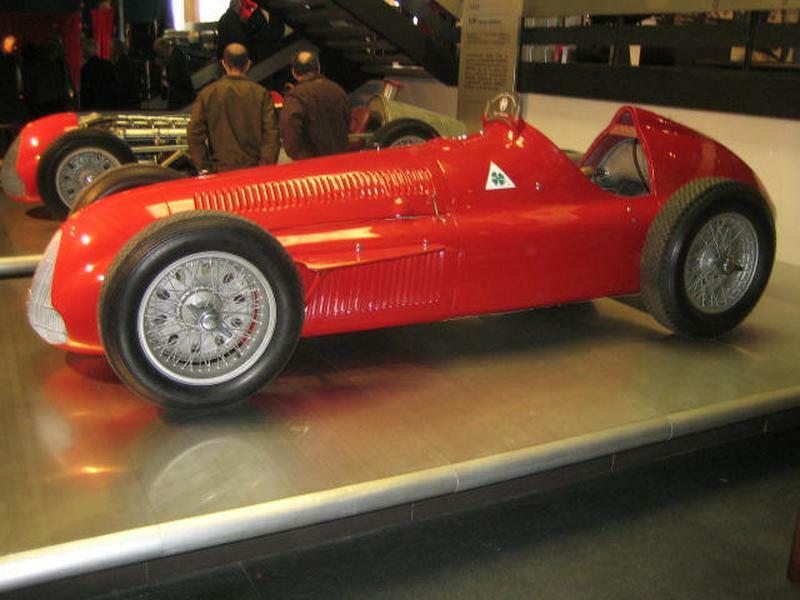 For 1951 however the factory decided to update the car and she became the 159 and in true Alfa Romeo style, this was more of an evolution than a revolution, with some cars having a new chassis while others were a modified 158 chassis, like the car in the Alfa Romeo Museum in Arese which has the 8 ground off and a 9 stamped over the top. The main difference between the cars was the fitting of a de Dion rear axle, although not all cars had this, and a larger 66 gallon fuel tank. 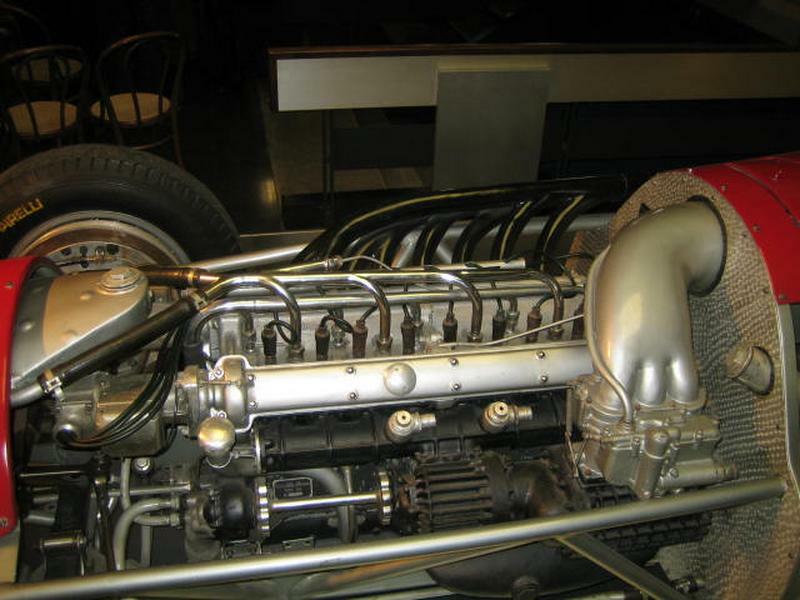 Modifications to the engine took the power output to 425 bhp @ 10500 rpm though engines were seldom taken over 9500 rpm where they produced around 400 bhp. 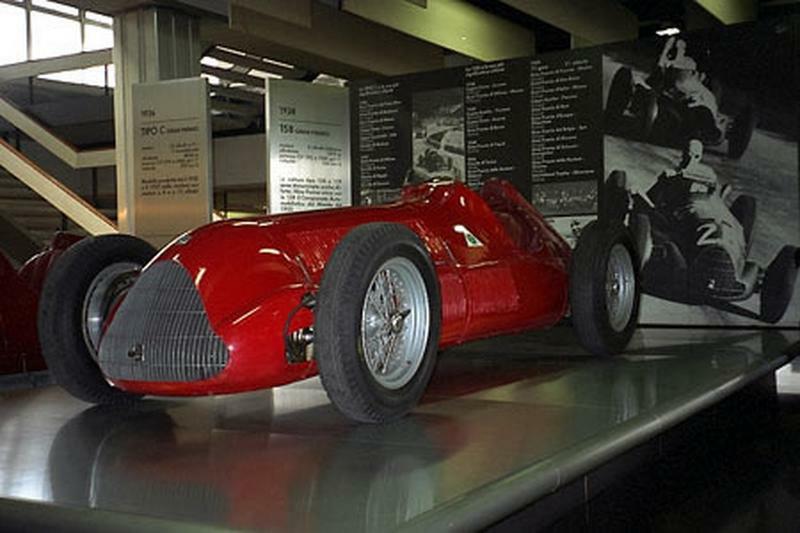 By now the upstart Ferrari was nipping at the heels of the venerable Alfetta and the board of Alfa Romeo decided to withdraw from F1 however she left the field with Fangio taking the 1951 World Driver's Championship for Alfa Romeo.